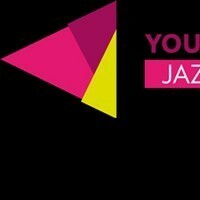 News -page consists of current topics and interesting articles about jazz in Finland. One of the names to keep your eye on, Maratone Quintet, goes on a four-concert tour in Finland. Journalist Henning Bolte reviewed the whole Europe Jazz Network showcase weekend in Trondheim, Norway in September 12nd - 15th. 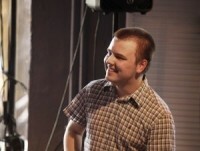 As a part of the article he also dug into the Young Nordic Jazz Comets showcase night. Unheard before in Finland and Estonia, the band will perform eight gigs from October 22nd to 30th. 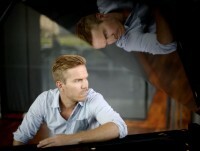 Two concerts feature also the Finnish duo Kahden miehen galaksi. The piano trio celebrates their latest 'Micro To Macro' release on a two-week tour in Finland. Kalkkiranta Jazz festival has appointed vibraphonist Panu Savolainen as their new artistic director. 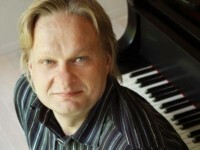 Former Art Director, pianist Iiro Rantala chose Savolainen as his successor. The festival takes place in Sipoo on the 16th of August. 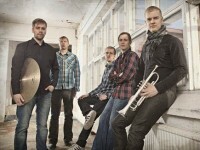 Helsinki Jazz Underground collective promotes Finnish jazz both on record and live. 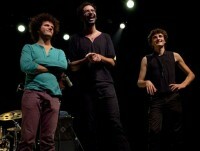 Their JazzHUG club nights have been an instant hit and there seems to be no end to the success story so far. 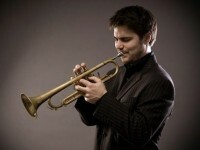 JazzHUG presents four monthly duo concerts in the wine bar VinVin in Helsinki center. All the concerts are free of charge. Kansi Auki Piano Jazz Festival hosts international jazz music in intimate surroundings. 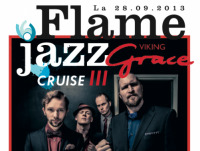 See the rap-jazz big band Julkinen Sana, dance jazz band Dalindéo and so much more on the brand new Viking Grace cruise ship. Flame Jazz hosts an all-nighter of some of the coolest jazz Finland has to offer right now! Tampere's Työväen Teatteri theatre has set up a series of jazz concerts called "TTT-klubi". The three club nights take place in the theatre's restaurant. The opening night is already sold out, but there's still a chance to get tickets for the two upcoming concerts.